As the mud from the water saturated land dries after brush hogging, the chickens, who now follow John as he rides the tractor, enjoy long dust baths. 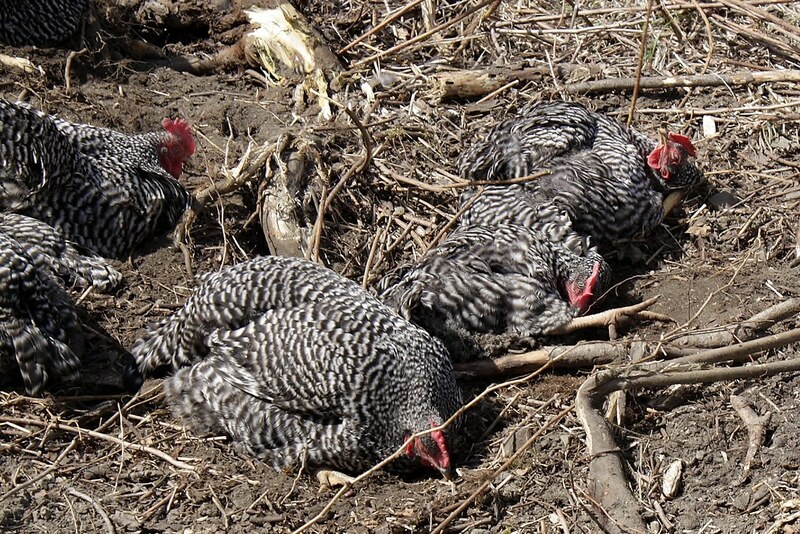 I found that chickens will roll in the dirt like dogs do! The chicken on the right with her leg in the air was rolling over and over for quite awhile. I keep telling Hubs that I want some chickens... he keeps saying "eventually". Love your chicken pics, especially them following the tractor. Looks like your spring has been busy. Have a good one!